Marketing is defined as “an organizational function and a set of processes for creating, communicating, and delivering value to customers and for managing customer relationships in ways that benefit the organization and its stakeholders.” It is the core strategy used to develop sales techniques that deliver, business communication, and business developments. It is an integrated process through which companies build strong customer relationships and create value for their customers and for themselves. At SolutionsPal, we believe marketing is a crucial part of your business. With millions of sites on the Internet, your website must stand out. Knowing how, and implementing a comprehensive design to make your website stand out is our business. Internet Marketing can be very complicated, SolutionsPal makes it easy. We have many options for you to explore, so marketing efforts will be effective at getting you the results you need. Contact us today to explore our solutions and also obtain pricing. We offer free consultations and a custom case study. 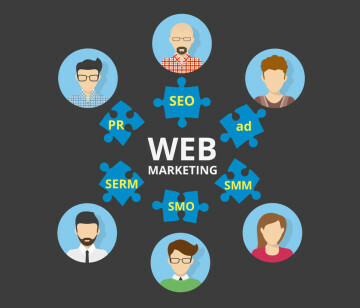 Outperform your competitors with proven, professional search engine marketing and search engine optimization (SEO) strategies. Kick start your website and sales by making it known in the internet world. Reach over 200 million Internet users every month! We will develop a solid social media strategy to improve your brand presence and daily attract new customers across all social platforms.